Is í an Ghaeilge cuid an thábhachtach dár n-oidhreacht. Is ár dteanga í agus is ár rogha chun í a labhairt. Mholfaimís gach uile dhuine a dhéanann iarracht chun í a úsáid. Mar a dheirtear: Is fearr Gaeilge briste ná Béarla cliste. Le déanaí, tá an Ghaeilge ag teacht ó neart go neart. Tá na Gaelscoileanna ag déanamh sár obair, comh maith leis an Cumann Lúthchleas Gael, na páirtí polaitiúil agus neart eagraíocht eile, chun an teanga a chuir ós ár gcomhair. Bhí baint láidir ag mórán Laochra na hÉireann leis an feachtas teanga. Pé nach raibh siad go léir ana líofa bhí siad, gach uile dóibh, an bhródúil as an méid a bhí acu. Go háirithe sna priosúin, ní raibh bealach eile acu chun teaghmháil a dhéanamh seachas leis an Ghaeilge. Is í an Céis Fada an Ghaeltacht is láidre a bhí againn ar feadh tréimhse. Bhí Ó Donnabháin Rosa mar múinteoir do na cimí eile. Tomás Aghas agus Roibéard Ó Seachnasaigh comh maith. Más féidir leat, mholfaimís daoibh chun bhúr ndícheall a dhéanamh. Ná bíodh eagla ort. Bígí linn. The Irish language is a very important part of our Culture. It is our language and it is our choice to speak it. We praise anybody that makes an effort to use it. As is said: Broken Irish is better than smart English. Of late, Irish is going from strength to strength. The Gaelscoileanna are doing great work, along with the G.A.A., political parties and many other organisations, in making the language available. Many Irish heroes had strong links with the language campaign. Even if some were not very fluent they were all very proud of the bit they had. 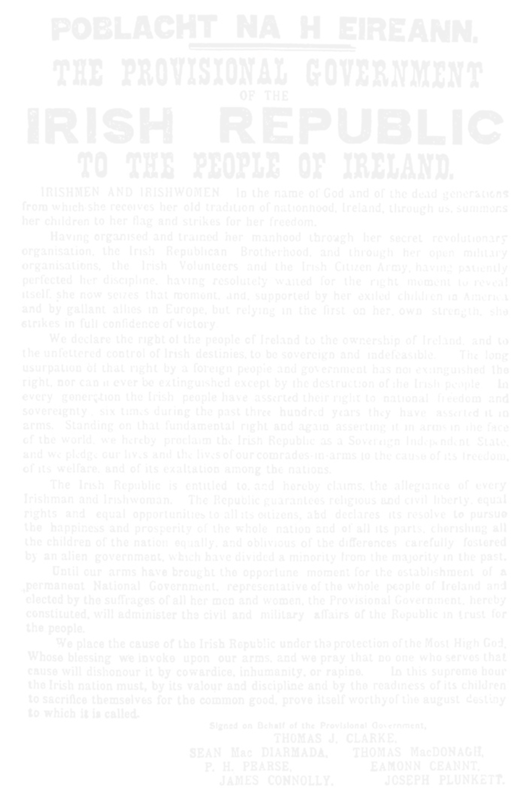 Especially in the prisons, there was no other way of communicating except through Irish. Long Kesh was one of the strongest Gaeltachts we had. O’Donovan Rossa used to give Irish lessons to fellow prisoners. Thomas Ashe and Bobby Sands too. If you can, we urge you to try your best. Don’t be afraid. Join us!